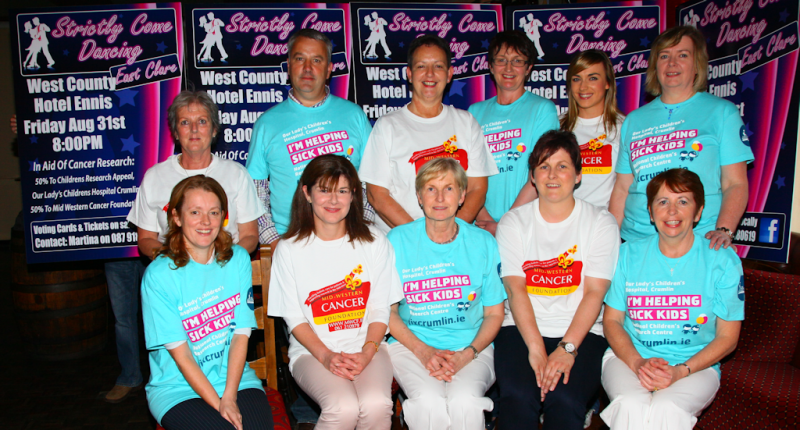 On Friday August 31st at the West County Hotel, Ennis the “Strictly Come Dancing” event will take place with 13 dance couples competing against each other. There will be a dance couple from Bodyke, Broadford, Feakle, Flagmount/Killanena, Kilkishen, Kilmurry, Mountshannon, O’Callaghan’s Mills, Ogonnelloe, Scariff, Tulla, Tuamgraney, Whitegate. Kate Lynch is heading up the fundraising campaign for Kilmurry. Other committee members include, Maureen Madden, Bodyke and Tuamgraney, John O’Brien, Broadford, Mary Hayes, Feakle, Jeane Moloney, Flagmount/Killanena, Joan Broderick, Mountshannon and Whitegate, Kate Lynch, Kilkisheen, Kilmurry and O’Callaghan’s Mills, Margaret Bane, Ogonnelloe and Christina McKenna and Martina Minogue, Scariff, Brid Hayes, Tulla. A professional choreographer has been employed by the group to provide Salsa and Zumba classes to the 13 dance couples over a 9 week period at Scariff Community College Hall. 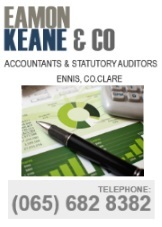 The “Contractors of East Clare” are being invited to help sponsor the costs that will be incurred in running this event. Voting Cards will be available at a number of locations in each area. 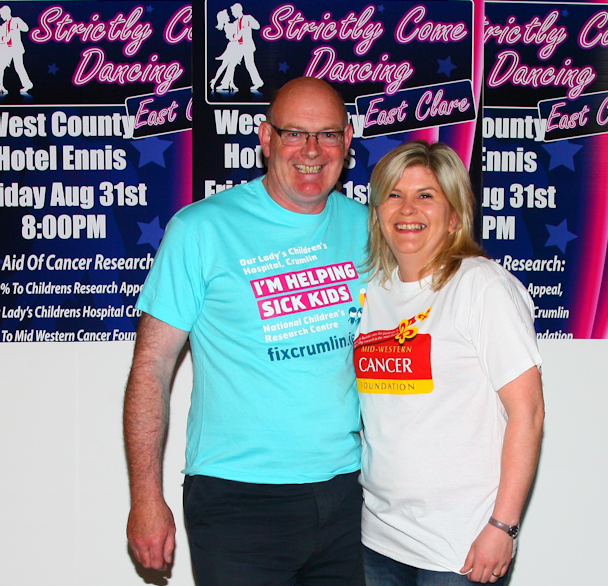 The committee asks you to support this very worthy fundraising initiative by voting for your local dance couple by either using the Voting Cards you will find locally or registering your interest on www.mycharity.ie. 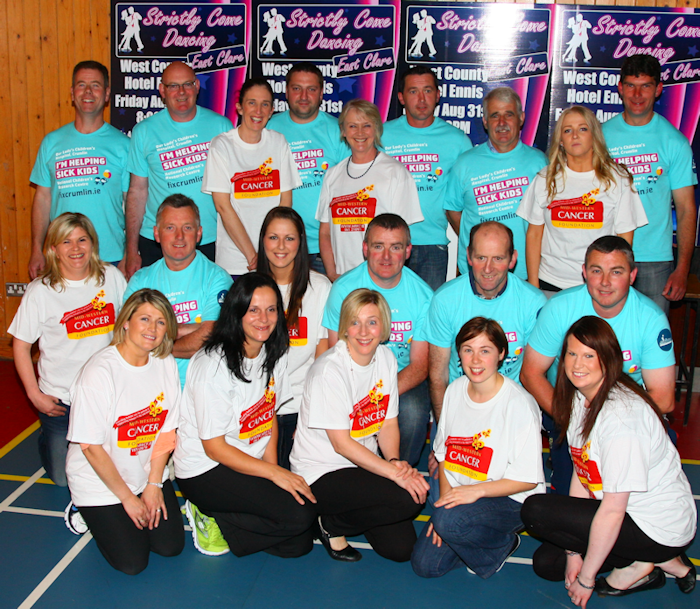 Visit us on Facebook: Strictly Come Dancing East Clare. Date set for Kilmurry 10k Road Race….